We have created a list of the 7 best compact rowing machine options to help make your search a bit easier. This list rates machines on construction material, design quality, efficiency, utility, customer satisfaction, and overall value. We have listed a few top brands such as Schwinn and Merax as well as some lesser-known vendors like Harvil and Stamina Body Trac. Rowing machines are fantastic for cardio, strength, and endurance training. Home exercise compact rowing machines can be used by individuals at intermediate or advanced levels of fitness. This machine is number seven on our list of best compact rowing machine options because it’s inexpensive, lightweight, and efficient. With this option, you can do many different workouts from home with minimal effort. It’s easy to store and has a sleek and solid frame. 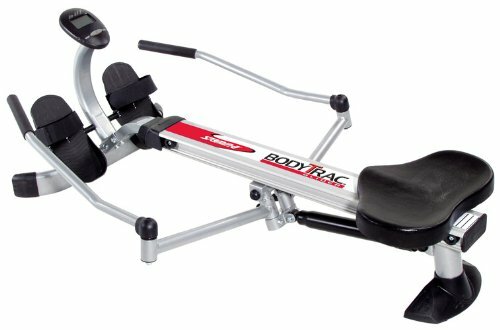 A unique full range motion rower, the Body Trac Glider is great for mimicking the smooth rowing and gliding motion you’d feel on the water. It has many multi-functional features and electronically monitors your progress. Adjustable hydraulic resistance is another impressive feature making this machine a fantastic value for the money. A durable and well-constructed piece of equipment, the Harvil Hydraulic rower is great for those looking to take their rowing workout up a notch. 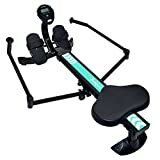 It has made number 5 on our list of best compact rowing machine options because it is loaded with impressive features and details. This model can make your home rowing experience more enjoyable. In the end, it’s comfortable, durable, and designed with the user in mind. This rowing machine works well for users who want to easily adjust their resistance for strength and endurance training. It’s stable, simplistic, and completely efficient. An uncomplicated but very ergonomically designed machine. It’s also very stable and has a whopping 330 lb load capacity. What you need to know is that this machine would be great for any user who wants a simple analog option with no hassle or extravagant complications. Looking for something that strikes a good balance between function and utility? 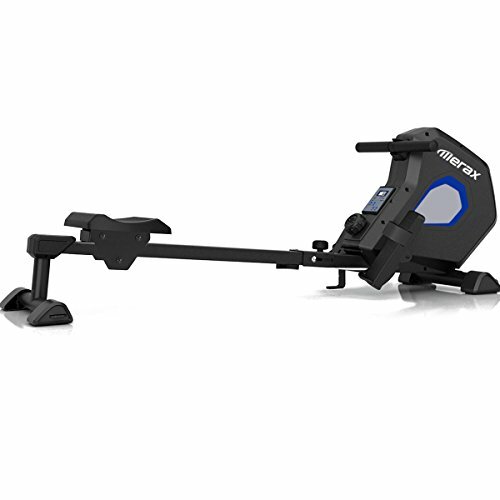 This rower is a great option for users who want the best of both worlds. It features 2 independent hydraulic cylinders. As a result, the tension and resistance levels are independently adjustable.It also has a cushioned seat, LCD display, pivoting anti-slip pedals, and much more. It’s easy to fold, store, and assemble as well. 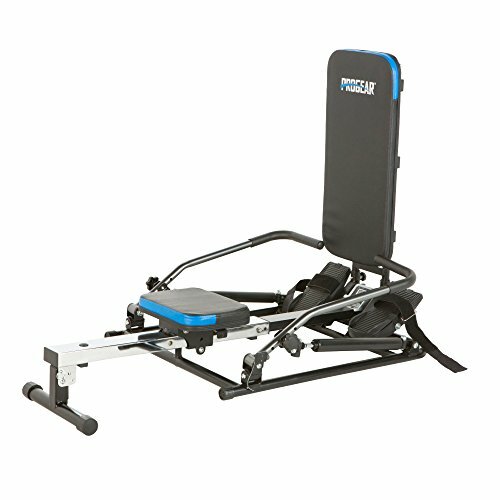 Many users seem to find this rower to be an ideal option that gives them lots of features at a great value. The Merax Magnetic Rower has many features that make it quite unique. Apart from the silent 15-degree angled seat railing & built-in magnetic flywheel, it features a resistance tension knob that makes adjusting your workout a breeze. It’s also very quiet and comfortable with a padded seat and easy-to-read LCD display system. Its dimensions are 73 L x 16 w x 21 H inches, and when folded: 26 L x 16 w x 49 H inches. It has a weight capacity of 264 lbs. Schwinn has been making quality machinery for decades so it comes as no surprise that they have created one of the best compact rowing machine options available today. They are number 1 on our list because their rowing machine simply has it all. Smooth flowing motion, many adjustable options, easy to understand instructions and settings, and a totally compact folding design for easy storage. It is constructed with premium quality materials as well and has a useful display system to boot. It’s essentially the best rower you’re going to find if features, impressive design, and utility are what you’re after. There you have it, the top 7 compact rowing machines that dominate the market as we speak. Hopefully, this comprehensive list of the best compact rowing machine options has helped you decide on the equipment that will best suit your purposes.